We Say Goodbye to Sister Maria Foraboschi, O.P. 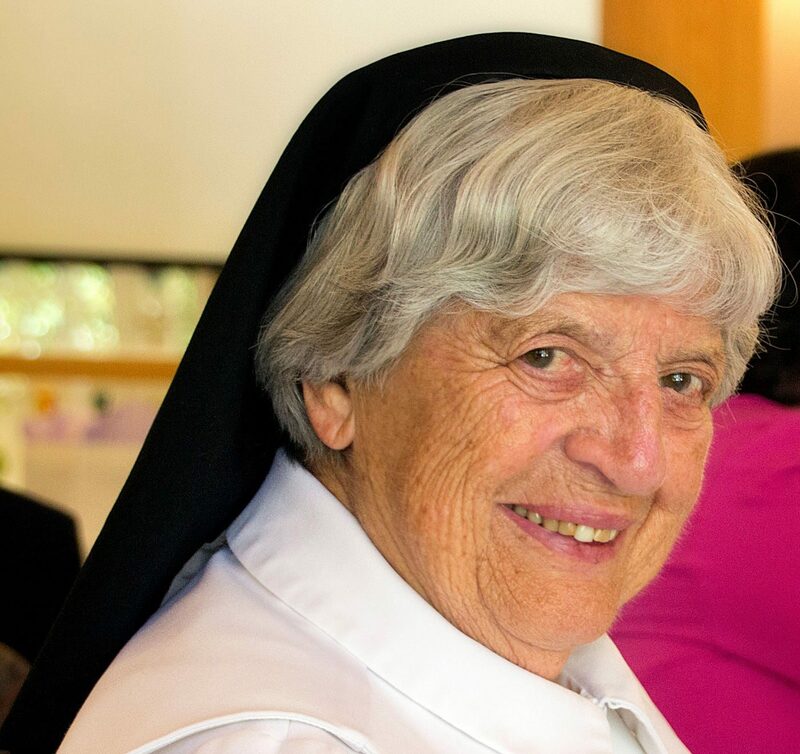 Sister Maria Foraboschi, formerly Sister Mary Aquin, a Dominican Sister of San Rafael for 67 years, died peacefully at Our Lady of Lourdes Convent in San Rafael on March 24, 2018. Maria’s parents emigrated from Italy’s northern Apennine Mountains and she was always proud of her Italian heritage. The family settled in Pacific Grove in California; there as a child, Maria loved the beach, the forests, and every kind of animal. Growing up in the Depression era, she remembered times of joy, hardship, and sorrow, and believed that what sustained the family were prayer, friendship and hard work. Maria graduated from Moreland Notre Dame Academy in Watsonville in 1949. Shortly afterwards, she entered the convent in San Rafael. Sister Maria earned her bachelor’s degree in social science in 1953 and began her ministry as an educator. She taught elementary school age children for forty-five years in Catholic schools in San Rafael, Napa, Antioch, San Francisco and San Anselmo. For fourteen of those years she also served as school principal. In 1969, Sister Maria received a grant from the National Science Foundation to attend the Earth Science Institute sequential summer program at the University of Notre Dame, which allowed her to earn a master’s degree in earth science in 1972. She was a member of several professional organizations, including the National and California Science Teachers Associations. In 1988, Sister Maria was named Outstanding Earth Science Teacher by the Far West section of the National Association of Geology Teachers. Eventually retiring to Dominican Convent did not mean that Sister Maria slowed down. For many years, she volunteered weekly at the California Academy of Sciences in San Francisco, helping to curate the mineral collection and serving as a docent. She also was the liaison with the landscape gardeners in San Rafael, helping to keep the Grand Avenue grounds beautiful in every season. She applied for and received an official designation of part of the property as a wildlife preserve, protecting the deer, rabbits and squirrels, birds and insects. Sister Maria was a kind person with enduring passions for geology, environmental science, photography, painting and flower arranging. A natural teacher, she loved sharing her interests with others; at the same time, she appreciated and encouraged them with their interests. She kept in touch with many of the staff she had worked with and the children she had taught over the years, and will be deeply missed. Sister Maria was preceded in death by her parents, Celeste and Teresa Foraboschi. She is survived by cousins in New York and Italy, and by her Dominican Sisters. A funeral Mass will take place on Tuesday, April 3 at 10:00 a.m. in the Gathering Space, Dominican Sisters Center, 1520 Grand Avenue, San Rafael, followed by the burial at St. Dominic Cemetery in Benicia. Memorial gifts in honor of Sister Maria may be made to the Retirement Fund, Dominican Sisters of San Rafael, Development Office, 1520 Grand Avenue, San Rafael CA 94901.